You have no doubt been in a situation where you’ve had to slam on your brakes, thankful that they work so well. Applying your vehicle's brakes is an example of stopping kinetic energy, which is present when your car is moving. Most automobiles today have anti-lock brakes. The ABS, or anti-lock braking system, is a four-wheel system that modulates braking pressure automatically during a quick stop. When the brakes are engaged, fluid is forced through a set of valves from a master cylinder, causing pressure that is transmitted to the hydraulic control units at each wheel. You can learn more about ABS from the pros at Meineke #4168 in Las Vegas, NV. Braking sharply is risky but at times necessary in order to avoid a road hazard. One of the major risks of braking is losing control of your car, which could lead to a major accident. The anti-lock system monitors rotational speed and performs a sophisticated algorithm of releasing and pumping the brakes that prevents wheels from locking up and lets the driver retain control. A malfunctioning ABS is particularly risky when driving on a slippery or icy surface, in bad weather or on loose material such as gravel. For best performance, be sure to get a regular ABS brake service check at Meineke #4168 in Las Vegas, NV. Some people think that the funny little sound their brakes are beginning to make can be eliminated with a simple fix. They begin looking around, wondering where to buy brake fluid and spend some time considering options, such as silicone brake fluid versus mineral brake fluid as well as overall brake fluid cost. 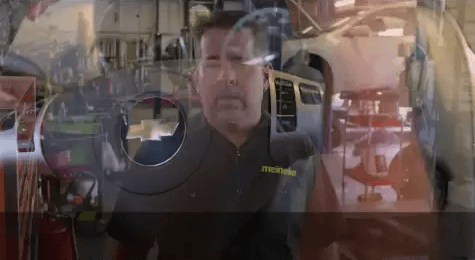 Meanwhile, the funny sound turns into an annoying screech and the smart driver will realize it’s time to take the car to Meineke #4168 in Las Vegas, NV, for an inspection. If your ABS fails, you can find yourself in a potentially very dangerous situation. Your anti lock system is what keeps your car from skidding or hydroplaning when you brake. For this reason, it is important to pay attention to signs that your brake system is impaired. One of the most common signs of an ABS problem is difficulty in applying the brake pedal, whether it offers more resistance or less than usual when you press it down. This type of problem is frequently related to brake fluid leakage or clogs and can arise whether you use silicone brake fluid or mineral brake fluid. If you notice a difference in brake pedal resistance, get your system checked at Meineke #4168 in Las Vegas, NV. The cost to repair or replace an anti-brake system, or ABS, can sometimes be concerning. The first thing to do is to bring your vehicle to the specialists at Meineke #4168 in Las Vegas, NV. You may only need new brake fluid or just a minor part. It might be that new brake pads are needed. Of course, there could be issues with other brake system components. Our professionals can resolve the problem and see that you’re back on the road safely with a solution that is as cost-effective as possible. We know that you’re as interested in great ABS brake service as you are in an economical solution to your car’s specific issues. 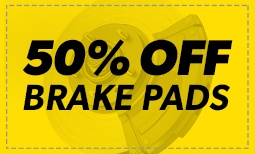 The specialists at Meineke #4168 in Las Vegas, NV, are familiar with every kind of brake problem. Our goal is to offer solutions that are effective while still being as considerate as possible to your budget. This is why we recommend that drivers pay attention to any warning signals raised by their anti-lock brakes and come in promptly for an inspection. Catching potential problems early is definitely the most cost-effective road to take.